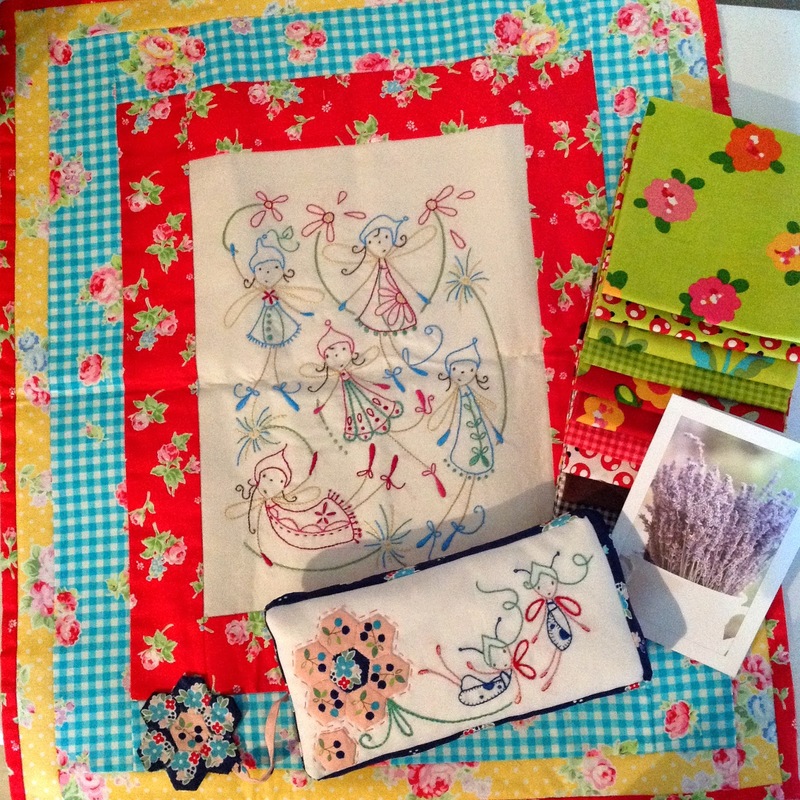 My lovely swap goodies have arrived from the lovely Lee. Wow, she has spoilt me so. A beautiful Cinderberry Stitchery framed and turned into a Mini Quilt / Wall Hanging. and just look at this gorgeous fabric. 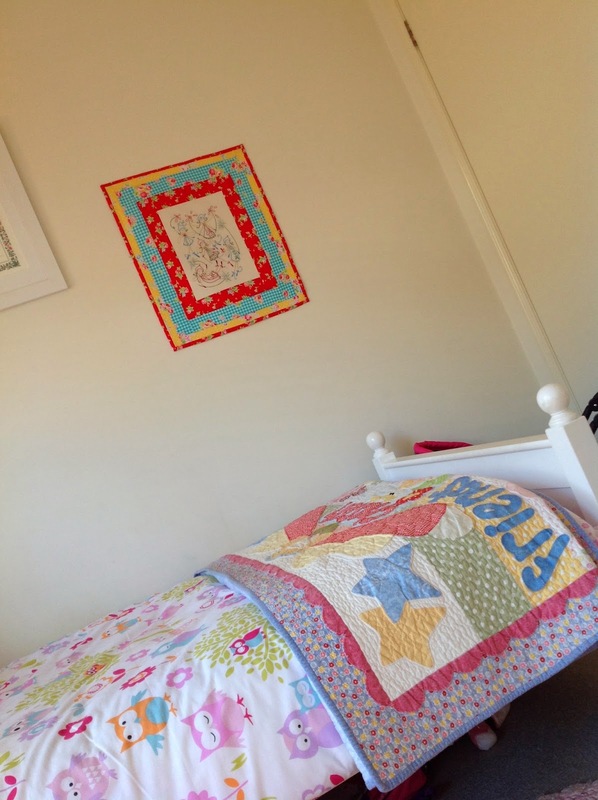 Perfect for a little girls quilt. Just need to find the right pattern. Thank you Lee, this was such a fun one on one swap. This is a lovely piece. Gorgeous swap items! How cute are they! The fabrics are so you. Miss Lily knows a good thing when she sees it LOL. Such lovely swap gifts from your partner...glad to know I am not the only one who loses items to someone else in the house at times.